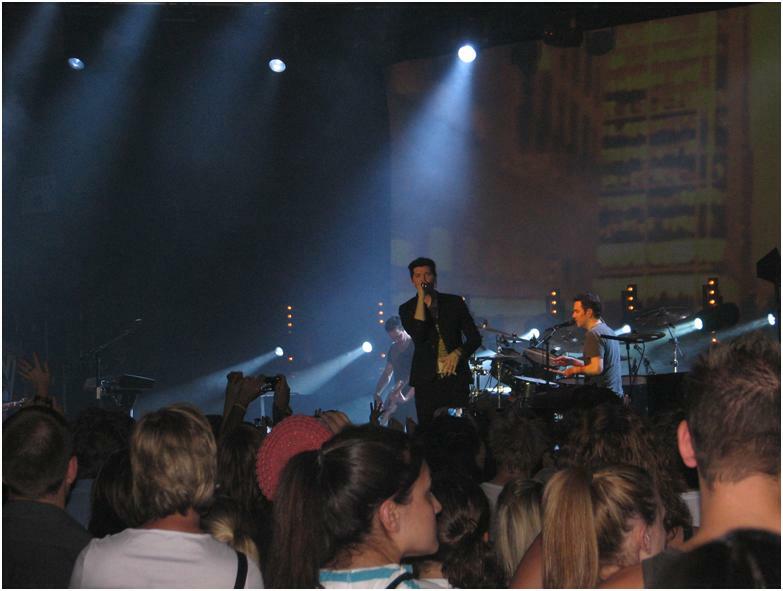 The Script last night did their fourth show of their Australian Tour at Festival Hall in front of 4,500 very loud fans. Tinie Tempah warmed up the crowd with his set. All the “youngens” sang along to his songs while the oldies stood or sat dumbfounded. For the “oldies” who don’t know songs of Tinie Tempah, he’s a rapper with the songs Written In The Stars and his new single Invincible featuring Kelly Rowland. The Script blasted onto the stage with For you. Their mateship between each other and their audience was evident from the moment the band started playing. The lead singer Danny ventured into the crowd a few times and urged people to sing their hearts out. Three songs in he joked that Wednesday was like the weekend, that Australia and Ireland are very similar with our laid-back attitudes, but the band were enjoying Melbourne’s weather. Later the band teased under-aged fans that the lads could drink onstage and explained how Danny is notorious for “drunk dialing”, the track Nothing is about that. The End Is Where I Begin from their debut album was one of the stand-out performances of the night. Unfortunately I must admit the sound quality at Festival Hall didn’t live up to the standards I’ve heard at other venues especially when Danny hit some high notes. Danny admitted “You never know the power of what you write until you fly around the world and see people sing along to your songs” before singing The Man Who Can’t Be Moved. Last night’s crowd definitely had their singing voices tuned; sometimes they drowned out the band. After the song had finished the loud crowd went bananas and Danny, Mark and Glen responded with an overwhelming gratitude. Danny told the crowd one of their most romantic songs I’m Yours was written at 4am after consuming red win. Then he surprised us by playing lead acoustic guitar for the track. 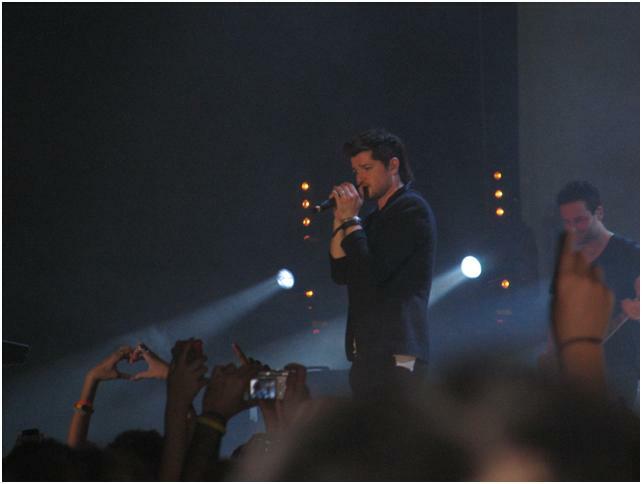 The Script will continue to do be a band with heart and determination who are bound for mega stadium in years to come.